Hybrid Technology For Electricity Saving Upto 47% - IAPL GROUP PVT. LTD. 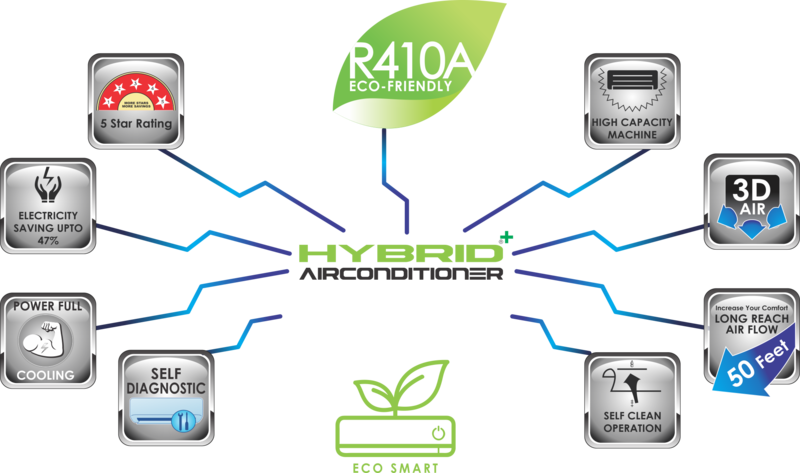 Hybrid AC gives 1.5 times bigger area coverage compared to Conventional AC & still gives electricity saving upto 47%.